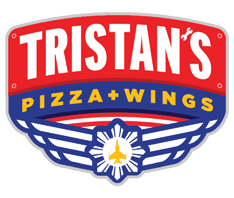 At Wayne Webb’s we offer World Class Bowling – Large Arcade – Party Room – Tristan’s Pizza & Wings – And Much More! Whether you’re looking for a great place to Host your next Party or Event, want to get competitive in a Bowling League or just want to have some fun, Wayne Webb’s Columbus Bowl has everything you need to have a Fantastic Time! Come In For Some Extra Special Fun! Available MONDAY, TUESDAY & SUNDAY only from 9pm to Close. (Shoes excluded). Buy 1-game at normal rate, receive 1-game (equal value) for free. Games to be used at the time of purchase. Prices are subject to change. Please contact the Front Desk for more details. Every Thursday night starting at 9pm is cosmic bowling. Bowl 3-hours unlimited for $10pp. Price includes shoe rental. Enjoy great music, an awesome laser light show, delicious food and drinks! Laser lights, music videos on jumbo screens, homemade pizza & wings, & more! Enjoy 2-hours unlimited bowling (Shoes includes). OR, pay $18pp for 3-hours unlimited bowling. *When lanes are available starting at 9pm to 1am. Prices subject to change. Want To Show-Off Your Bowling Skills?